Hand finished in the USA. Designed by Josh Bach. I was a bit hesitant about this tie because of the picture quality. I decided to take a chance anyway because my husbands occupation called out loud .... buy me !!! Neckties are the quintessential fallback gift when you’re buying for men, but that doesn’t mean they have to be boring. Josh Bach saw an opportunity to make ties something special. When he couldn’t find great men’s items that expressed individuality and creativity, he designed his own, drawing on his training as an architect and art director. 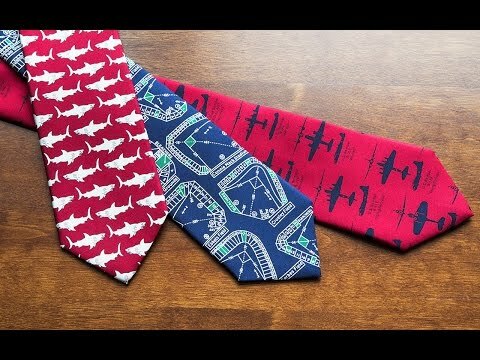 His designs are clever and his canvas—a necktie—is the perfect scale for men who want to make a fashion statement without going too far. Josh finds inspiration in familiar subjects and interprets them as fashion. One of his ties illustrates the music of Johann Sebastian Bach, and another turns scientific formulas into graphic design. The Stock Ticker tie depicts soaring stock prices from 1999. 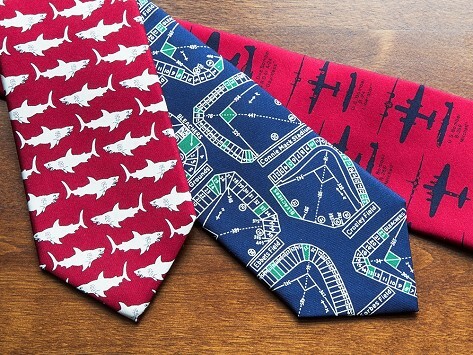 For baseball enthusiasts, a ballpark-themed tie incorporates sketches of historic baseball stadiums. Each tie is made from imported silk and hand-finished in New York. Josh’s ties make an impression—they make us smile, or remind us of someplace special, or pique our curiosity. Men, it’s time to tie one on.